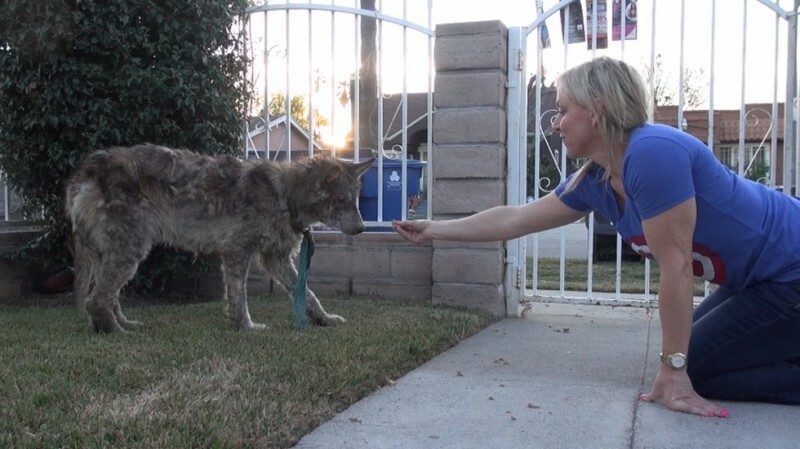 The vets saved this dog that was starving. But it’s not a dog. 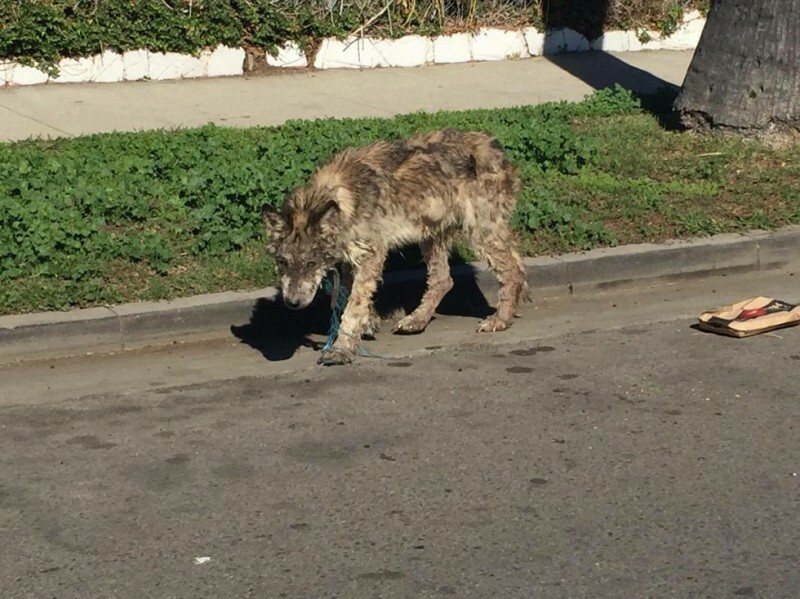 This miserable-looking dog was discovered by a woman in Los Angeles, California. The animal looked so scary that she didn’t dare approach it. Instead, she sent a picture to an animal welfare organization. 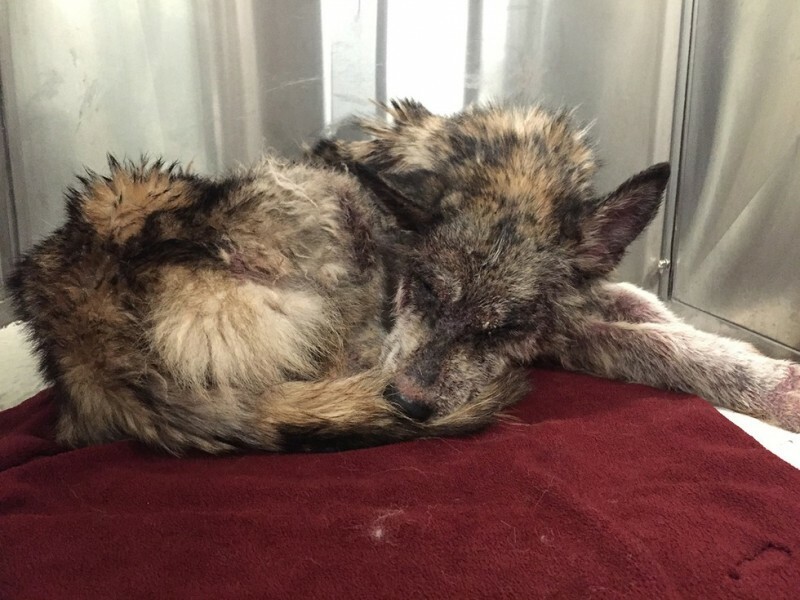 It was evident that the animal was sick and abandoned. But the strangest thing about this dog is her breed. 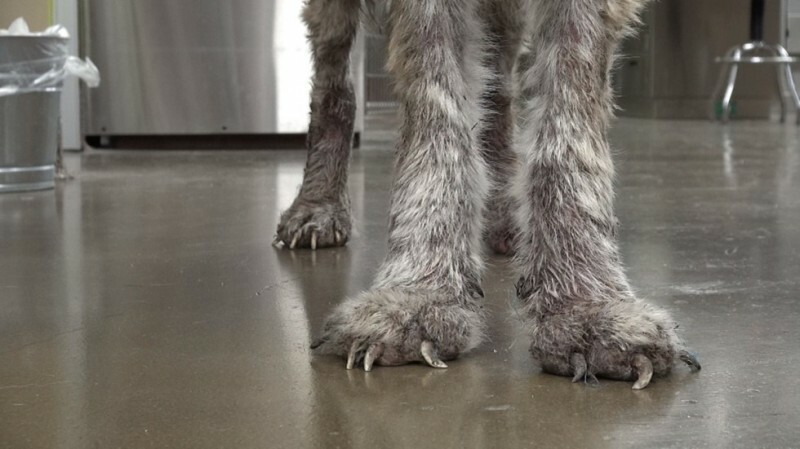 Even her paws were swollen. The wolf-dog, however, had apparently had an owner before. Evidence of this was a rope tied around her neck. It’s clear that she had a family at one point and had now been abandoned. The wolf, who was given the name Julia, was deathly afraid of humans. 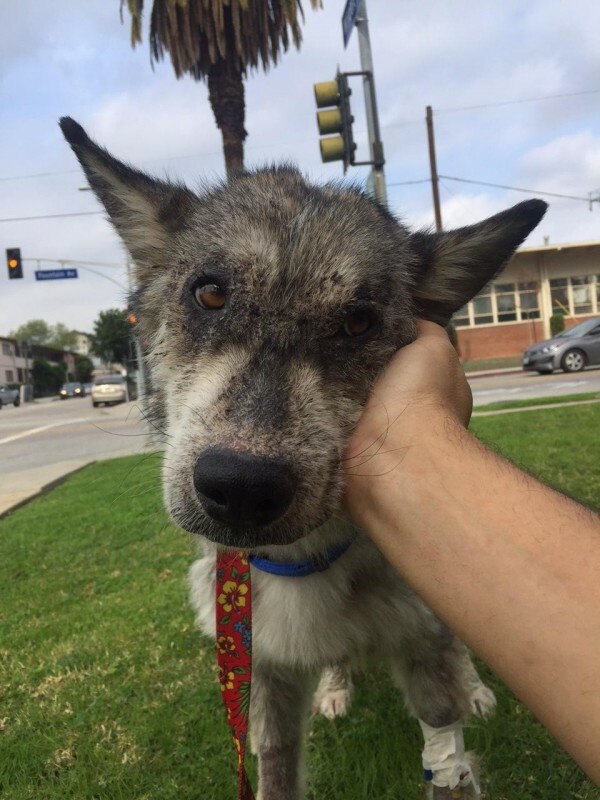 But after they gave her some treats and a lot of encouragement, the volunteers of the organization succeed in winning her trust. Julia is slowly learning that she has nothing to fear. 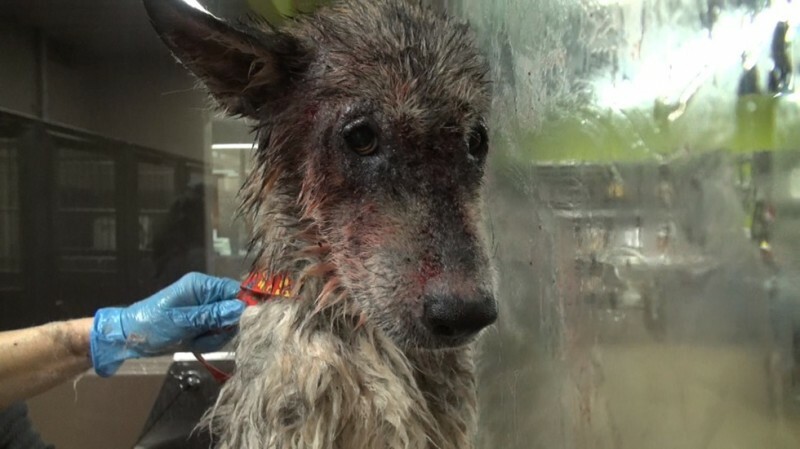 Once she arrived at the shelter, Julia had to be immediately washed and treated. Her wounds were severe and contact with the water on her skin was painful for the poor girl, yet she remained calm and brave. For Julia, this was the first time she had been with humans who protected and took care of her. The volunteers covered her and put her in a bed where she was finally able to sleep safely after all she’d been through. Despite all the progress she's made, Julia is still sick and malnourished and needs a lot of time to recover. She can barely eat anything and her immune system is still very weak. Her psychological wounds also run deep. But she likes to be pet and she is starting to behave more and more like a normal dog. 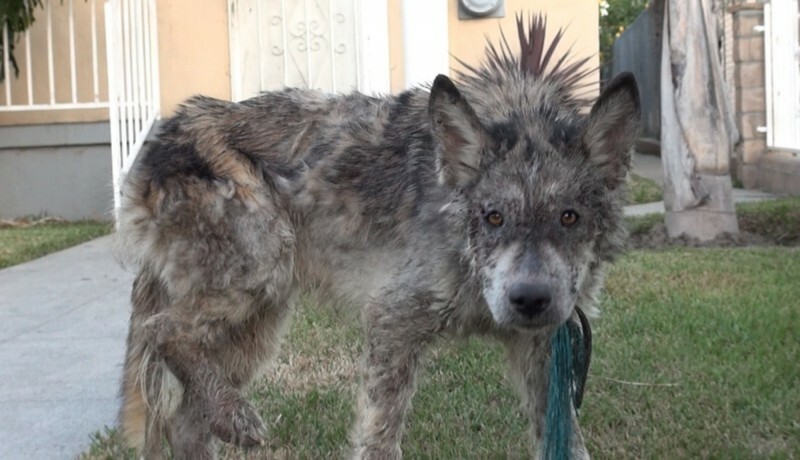 Once she’s completely recovered from her injuries, she will go to another shelter where 2 other wolf-dogs are already waiting for her. 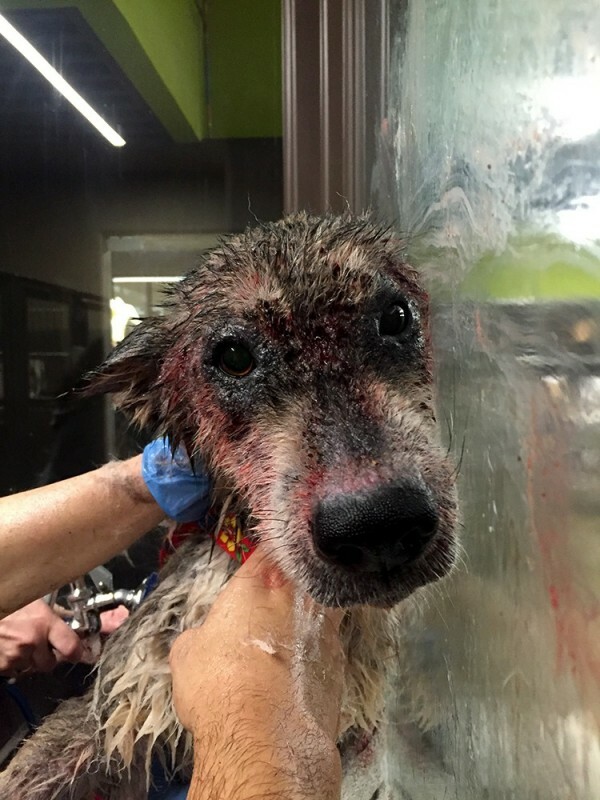 Julia was saved at the last minute from the brink of death. 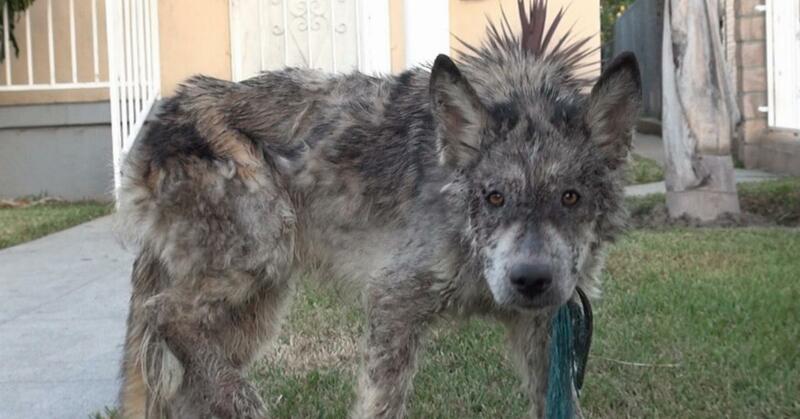 Wolf-dogs are very rare and people don’t know much about them. They have different needs than other dogs and their owners don’t always know how to take care of them properly. They’re overwhelmed by these dogs and end up abandoning them. Before you take or buy any animal, make sure to always ask yourself if you’re ready to take care of it every single day of it's life.